GPU-Z - A geat way to get the goods on your graphics card ~ Android Forever! I could have used this little gem a few weeks ago. I was helping a customer get his PC back to original factory conditions by running the built-in recovery utility. Problem is, he had installed a different graphics card along the way and had no memory of what kind it was or where he might have put the driver CD. To reinstall the driver I needed to find out what it was. This application could have done it in no time. 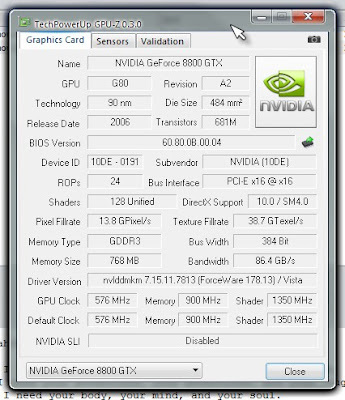 "GPU-Z is a lightweight utility designed to give you all information about your video card and GPU."